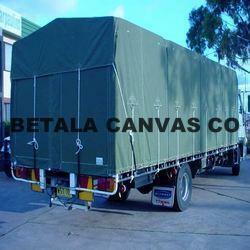 Pioneers in the industry, we offer truck tarpaulin, load container and truck covers and truck tarpaulins from India. 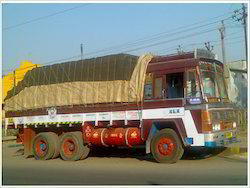 We are leading manufacturers and suppliers of truck tarpaulin of various trucks and lorries which are completely waterproof and helps preventing water from dampening the goods in rain. We serve our clients, we are providing them Load Container and Truck Covers which are manufactured by our distinguished professionals as per their varied specifications. You will use it to close the container protect from rain summer season also. To serve our clients, we are providing them Truck Tarpaulins which are manufactured by our distinguished professionals as per their varied specifications. We are a quality-conscious organization and tested these products on varied parameters to make these tarpaulins adhere to the international standards. Therefore, owing to their quality, these products are highly demanded in the market as well as praised by the clients. 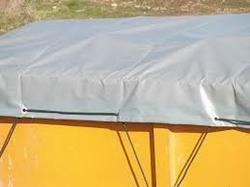 Looking for Truck Tarpaulin ?